Responsible Bloodhound breeders should do some health testing, at the moment the Kennel Club does not impose any mandatory health testing on Bloodhounds. Health testing though is very important and should be done to ensure stock is healthy to breed from, conditions that are tested for are not visible and can only be verified by other methods i.e. X-Rays for Elbows and Stethoscope for hearts, without testing it is unknown whether these conditions are present or not. 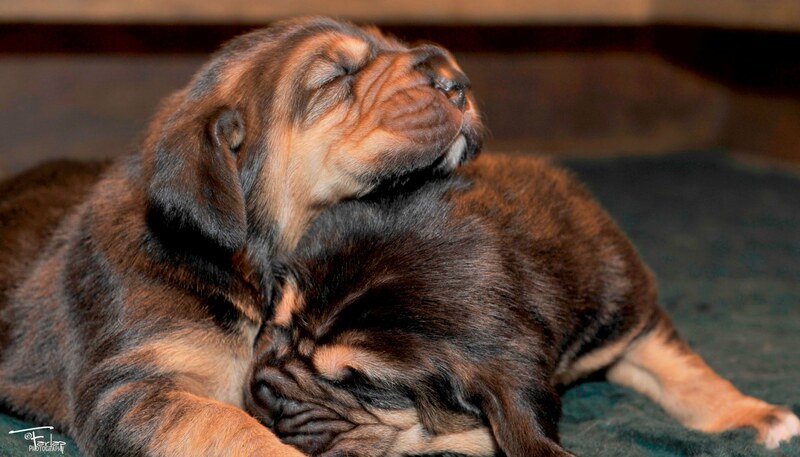 Bloodhound breeders should test for elbow dysplasia and for any heart issues. Other tests that breeders may do are for hip dysplasia and BVA eye test. In other countries a greater variety of tests are performed including thyroid function and DM. Hounds should also be clear from any temperament problems including nervousness, they should also be clear from any skin problems and eye problems. The Kennel Club holds a list of assured breeders on their website, the kennels above routinely perform health testing and publish their results.